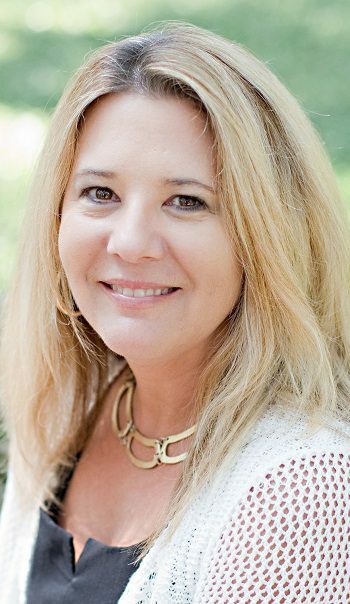 (SAVANNAH, GA) Felder & Associates is pleased to announce that Carrie Harvill has joined the Savannah architecture firm as its office manager. Harvill will be responsible for administrative duties to include overseeing residential, commercial, industrial, educational, historic and modern designs. Harvill has been in the architectural and construction field for more than 20 years. Before coming to Felder & Associates, she worked as an office manager at the architecture firm, C & I Design, Inc. Previous positions included GRAU General Contracting, LLC; Kenneth Holt Construction Co., Inc.; Deal-Irwin Architects; and Fluor-Daniel/American Equipment office. Harvill studied at Southeastern Community College and also served on the Board of Zoning Appeals for Hickman County Government. Recently moving to Savannah from Centerville, TN, Harvill enjoys traveling, boating, sporting events, kayaking, hiking, and spending time with her family and friends. With her husband of 26 years, she has two children: Rachel, who is 23 years old, and Brandon, who is 18. (SAVANNAH, GA) Craig Burgess of A & C Gold and Diamonds is inviting the public to celebrate two milestone anniversaries during October. Burgess is observing his 35th anniversary as the local authority on rare and beautiful objects, and he is also celebrating his return to the business after a medical sabbatical, and the one-year anniversary of the re-opening of his company, A & C Gold and Diamonds. To mark both occasions, Burgess is inviting the public to receive an examination and digital photograph of one item using A&C Gold and Diamonds’ state-of-the-art high definition photography equipment. The camera system produces a detailed image of the gem that can be used for insurance identification purposes, or to complement an appraisal. This free service will be offered throughout the entire month. Burgess has also invited master jewelry craftsman Gregory Crawford to show his designs at A&C Gold and Diamonds on October 24 and 25. Crawford has literally spent a lifetime in the jeweler’s workshop studio, devoting the last quarter century to designing and building beautiful settings for extraordinary gemstones. He holds a U.S. Patent for the Holo-Gem pendant and one of his rare Holo-Gem fire opal pendants is now part of the Smithsonian’s National Gem Collection. The craftsman will be available for limited private consultations, by appointment only. In 1979, Burgess co-founded A&C Jewelry and Design, an independent jewelry store based in Savannah. But after a 26-year career, in which he handled well over $50 million in diamond transactions, he found himself in deteriorating health and was forced to retire in 2006. After being diagnosed in 2008 with immune system suppression due to heavy metal exposure (from jewelry polishing compounds), Burgess eventually regained his health and discovered his love for the industry was still as strong as was the market’s demand for his services. In 2013, he made his second professional debut, founding A&C Gold and Diamonds. Burgess is offering the Gregory Crawford showing as well as the free examination and digital photography of one item in October to thank his clients for an exceptional “comeback” year, as well as introduce his services to new generations. As a value luxury destination, A & C Gold and Diamonds strives to offer customers the highest quality products, best price and most accurate valuation for coins, diamonds, estate jewelry, currency, and all gold and silver items. For more information, contact Craig Burgess, founder, A & C Gold an Diamonds at 912.224.3247 or http://www.acgoldandsilver.com. A&C Gold and Diamonds is a buyer and seller of fine items and collectables, primarily precious metals and gems such as diamonds, gold, silver, platinum, estate jewelry, heirlooms, coins, rare currency and more. Owned and operated by Craig Burgess, with locations in Savannah, GA and Bluffton, SC, A&C Gold and Diamonds combines 35 years of knowledge and an expansive network of industry contacts and connections that are unsurpassed in the region. For more information, call Craig Burgess at 912.224.3247 or visit http://www.acgoldandsilver.com. Pop-Up Broadway Presents the Faraways, an Original LIVE Musical Theater Show Premiering at the Savannah Mall Thursday, Oct. 9 at 7 p.m.
(SAVANNAH, GA) The Faraways, a one-of-a-kind live theatrical musical show, will launch its national tour at the Savannah Mall on Thursday, Oct 9 and bring a new entertainment experience to mall-goers across the country. The captivating show will be performed in a unique mobile “pop-up” theater that seats 200 and is a perfect addition to the growing live entertainment offerings at malls across the country. The family-friendly show runs approximately one hour and fifteen minutes and has 6 cast members. The Savannah Mall Showings will run every Friday, Saturday and Sunday through Sunday, Oct 26. Tickets are $17.50 for adults, $15 for active military, $10 for children ages 3 to 12, and free for children ages 3 and under. From the moment a ticket is purchased, the entertainment begins. Patrons are ushered through a zany pre-show “ride” that establishes the interactivity between cast and audience. When the show begins the audience will learn that The Faraways are not of this world. They are visitors, in human disguise, from another dimension, looking to find a new, better home and hoping not to be dragged back. And, while they figure this out, their new best friend asks them to come to the mall where he works and tell everyone about what they’ve experienced, so far. In a burst of song, dance, comedy, circus-like acts and audience participation, they invite the audience on their journey and relate their experiences in our world. Unlike anything seen at malls in the past, The Faraways take their audience into a place beyond their imagination. It is a sensory overload of high-octane music, dance, laughter, and physical feats as The Faraways search for a place to call home. The journey starts with the explosive opening number, “Now It Begins,” where The Faraways sing “we’re gonna take you on a ride but we can’t do it all alone”, as they break into exciting, synchronized hip-hop dance. Their show moves right into a juggling number where they attempt to defy gravity, followed by a driving reggaeton rap about the wonders of human food, a country line dancing number with a Broadway flair and the wonders and thrills of great voices, twirling and whistling ropes, mesmerizing rhythmic gymnastics and non-stop comic audience interactivity. Audience members will find themselves participating in singing, dancing and laughter! The Faraways are a different and fun kind of live family fun show with something to entertain all ages. A New York based, privately owned production company whose mission is to bring affordable, high-quality, family friendly entertainment to retail centers and other destinations throughout the country. The Faraways is the first in a series of unique theatrical experiences that will tour year round. (SAVANNAH, GA) Craig Burgess of A & C Gold and Diamonds is inviting the public to help celebrate his 35th anniversary as the local authority on rare and beautiful objects, by offering a free examination and digital photograph of one item during the month of October. For more information, call Craig Burgess at 912.224.3247 or visit www.acgoldandsilver.com. (SAVANNAH, GA) The deadline for nominations for "Generation NEXT: Savannah’s Rising Stars of Business" is quickly approaching. Nominations will be accepted through Oct. 3. Winners will be recognized in the Jan. 21, 2014, issue of Business in Savannah and in the January/February 2015 issue of Savannah magazine. (SAVANNAH, GA) 2015 Bonaventure Historical Society Calendars, will be available for single purchase or multiple copy (family and corporate/employee gifts) October 1. Visitwww.bonaventurehistorical.org and click on Store, then 2015 Calendars for the details. (SAVANNAH, GA) Did you know that Down syndrome occurs when an individual has a full or partial extra copy of chromosome 21? The Lowcountry Down Syndrome Society’s (LDSS) ninth annual Buddy Walk is a one-mile fundraising walk that encourages participants of all ages and abilities to celebrate Down Syndrome Awareness Month. Carriages, strollers, wheelchairs, little red wagons and pets are all welcome. Participants can register the day of the event at 8:30 a.m. or online atwww.ldssga.org until Wednesday, Oct. 1 at midnight. Registration is $12 per person or $40 for a family of four, which includes a t-shirt, lunch and admission to the festival. (SAVANNAH, GA) Savannah Morning News presents the first annual Savannah Amateur Table Tennis Tournament, "Get It On Like Ping Pong" will be played on October 25 at the Armstrong Center, 10056 Abercorn Street. The net proceeds from the event will benefit Union Mission and The Empty Stocking Fund. Players and guests, including some of Savannah business and community leaders, will be treated to an exciting round robin format of tournament play with many of them in costume. To register as a player or to purchase tickets, go to www.savannahnow.com/tabletennistourney. (SAVANNAH, GA) Calling all cheerleaders and high-spirited merry-makers to help out on the LDSS 9th Annual Buddy Walk. Interested persons are asked to line the corners of the Forsyth Park (Dayton and Gaston; Drayton and Park; Whitaker and Gaston; and Whitaker and Park) to encourage and Hi-Five all the walkers at the one-mile fundraising walk taking place Saturday, Oct. 4. The LDSS team will be recognizing three cheerers from the crowd, based on: "Most Spirited" ; "Puts a Smile on My Face" ; "Unsung Hero". Group Cheer Squads are welcome too! For more information, contact Candy Bogardus at 912-663-8573, jcbogardus@gmail.com or Joe Marchese at 912-213-9999,Jmarchese@ldssga.org. WHAT: Breaking ground on an all accessible playground, a project totaling $342,000. WHEN:Monday, September 29, 2014 at 1:45 p.m.
WHY: The Rotary Club of Savannah is excited to be able to provide this one-of-a-kind playground to our region. This donation supports the Rotary Club’s motto – service above self. HOW: The money was raised through internal sponsorship, a grant from the Alan S. Gaynor Fund and AMBUCS, and through the Herb Traub Fund. NOTES: The playground will be accessible to all children, including those who have wheelchair limitations and other specialized conditions. The design includes nine slides, 16 climbers, and eight swings. The equipment can support a capacity up to 300 children. The ground will be covered with rubber matting and mulch. The Rotary Club of Savannah will break ground Monday on an all accessible playground in Forsyth Park. The $342,000 park, funded by the club through internal sponsorship, a grant from the Alan S. Gaynor Fund and the American Business Club (AMBUCS) as well as the Herb Traub Fund, will be accessible to all children, including those who have wheelchair limitations and other specialized conditions. The design includes nine slides, 16 climbers, and eight swings. The equipment can support a capacity up to 300 children. The ground will be covered with rubber matting and mulch. The Rotary Club of Savannah first met Jan. 5, 1914, at the DeSoto Hotel. Founded by John S. Banks and a group of local businessmen, it was the second Rotary club established in Georgia. The Savannah club sponsored the formation of eight others around the state. Together, they championed local and regional developments including: completing the road to Tybee Island, improving the Savannah River for commercial traffic, enhancing the Dixie Highway system in southeast Georgia, and building bridges over the Savannah and Altamaha Rivers. Furthering the goals of Rotary International, the club has also supported wartime relief efforts, student scholarships, polio eradication, and other global health initiatives. Rotary International, the nation’s first service club, began in Chicago in 1905 and promotes community and economic development projects at home and abroad. (SAVANNAH, GA) The Park Place Outreach – Street Outreach Program (SOP) will continue to navigate the downtown areas in Savannah after a generous donation of a new program vehicle by O.C. Welch III, President of O.C. Ford and Lincoln. The contribution of the e350 12 passenger club wagon replaced the 1998 van purchased in 1997 for the original SOP team. “The charitable gift of a new van couldn’t have come at a better time. Our old van had just died a few weeks ago and was stationary in our lot. 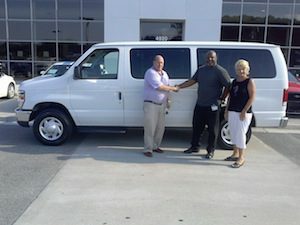 This new Ford van will allow our program to continue to reach out to at-risk youth who might not come into our shelter. It is crucial to our mission and program,” said Linda Hilts, Executive Director of Park Place Outreach – Youth Emergency Shelter. Funded since 1997, the Street Outreach Team has various mobile outreach sites in the community to reach those up to age 21, offering counseling, clothing and personal care items. There is also a drop-in site at the shelter. Whenever possible, the organization attempts to keep kids off the street and reunify families. Park Place Outreach Shelter works with individuals and local organizations, having helped over 6,112 individuals through 2013. The shelter provides a safe and loving environment 24 hours a day, 7 days a week for children and teens who self-admit themselves into the 12-bed shelter. 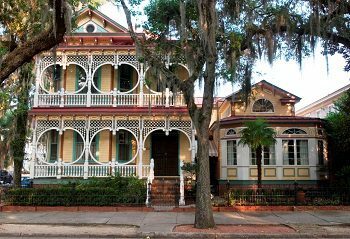 (SAVANNAH, Ga.) – The iconic Gingerbread House is changing hands, but brides-to-be dreaming about having the romantic home as a wedding venue can breathe easy. The architectural gem will remain available as a premier wedding site and special event venue. The Gingerbread House was purchased for $837,500 by SJ Management Group LLC., whose owners include Savannah resident Jacob Thompson and Steve Gareleck. Listing agents are Franklin Williams and Chris White of Celia Dunn Sotheby’s International Realty. The selling agent is Richie Sturgess of Savannah Realty. Built in 1899 by Cord Asendorf, The Gingerbread House is one of the finest examples of Steamboat Gothic architecture in the country. Its delicate, elaborate gingerbread carpentry details have ensured it is one of the most photographed buildings in Savannah. A centerpiece of the Thomas Square Streetcar Historic District, The Gingerbread House has always been a crucial part of the revitalization of the neighborhood. The former owners, Herb and Jan Galloway, are retiring out of town. Herb Galloway purchased the home in 1978. Look for Gingerbread House on Facebook for venue information. Known for its tradition of integrity, Celia Dunn Sotheby’s International Realty specializes in residential properties in Savannah and the Low Country of Georgia and South Carolina. Founded in 1981, Celia Dunn Sotheby’s International Realty is noted for outstanding service to its clients, thorough knowledge of Savannah and the South Carolina Low Country, and excellent staff, in addition to having one of the region’s top property management departments. The owners are natives of Savannah who have more than 60 years’ combined experience in real estate. The offices are located at 17 West Charlton Street on Madison Square in Savannah and 52 Calhoun St. in Bluffton, S.C.
(LEFT to RIGHT) Chris White and Franklin Williams of Celia Dunn Sotheby’s International Realty, stand in front of the historic downtown home with previous owner Herbert Gallaway and new owner, Jacob Thompson and Richie Sturgess of Savannah Realty. (SAVANNAH, GA – BLOG TALK RADIO) Healthy Savannah, along with the YMCA of Coastal Georgia, has been awarded a $150,000 grant to promote healthy lifestyles and community awareness for under-served areas in Georgia and to combat childhood obesity. 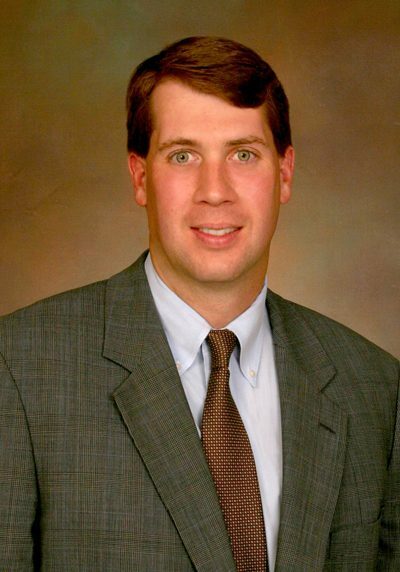 (SAVANNAH, GA) Park Place Outreach – Youth Emergency Shelter has appointed Troy Follak to join its Board of Directors. Follak is an engineering director at Gulfstream Aerospace, where he has been employed for the past 13 years. The Isle of Palms, SC, native moved to Savannah in 2001 to work for Gulfstream. He received his undergraduate degree from The Citadel in Charleston and a master’s degree in international business from the University of North Carolina. Follak was a Cub Scout leader and served as a committee member-at-large at Isle Of Hope United Methodist Church. He previously volunteered as a youth group leader at Meyers Park United Methodist Church in Charlotte, NC. He enjoys spending time with his family, especially outdoor activities with his children. He has been married for 22 years and has three children: Morgan (16), McKinsey (14) and Marshal (9). The Gingerbread House was purchased for $837,500 by SJ Management Group LLC., whose owners include Savannah resident Jacob Thompson. Listing agents are Franklin Williams and Chris White of Celia Dunn Sotheby’s International Realty. The selling agent is Richie Sturgess of Savannah Realty.